Since early 2019 the UK’s Royal Navy has increased its joint military exercises with the US Navy in the South China Sea. In mid-January the Royal Navy frigate Argyll and the US Navy’s guided missile destroyer USS McCampbell conducted joint operations at sea. The operations included communication drills, division tactics, and a personnel exchange. Again in mid-February the Royal Navy frigate HMS Montrose and the US Navy replenishment oiler USNS Guadalupe came together for maritime security and logistics training. Both navies consider these exercises as being designed to address common maritime security priorities, enhance interoperability, and develop their relationship. Contrasting with a toxic picture presented by the ups and downs of the Brexit process, the Royal Navy’s recent military gestures in the South China Sea deserve closer scrutiny. Economically and strategically Asia, in particular Pacific Asia, remains an important area to Britain and the South China Sea is the choke point connecting Britain with the region. As a country of islands, the UK’s economy depends much on its foreign trade, in particular seaborne trade. Sea lanes of communication (SLOCs) in the South China Sea play an important role. According to a report by a UK think-tank, 12% of UK seaborne trade–￡97 billion in imports and exports–passes through the South China Sea each year. This amount will surely increase as the East Asian economy continues its robust growth and assumes a greater share of the global economy. Meanwhile the South China Sea is an entry point for British trading relationships with Southeast and East Asian countries. China is the fastest-growing market for UK exports and the UK’s second-largest non-EU trading partner. In 2018 bilateral trade totaled more than $80 billion and UK exports to China increased by 6.9%. Chinese investment in the UK tops $20 billion. Southeast Asia is the UK’s third-largest non-EU export market while the UK is the second-biggest EU investor in the area. Moreover, Southeast Asia is the UK’s third-biggest market for defense exports. For all these reasons, the safety and security of sea lines of communication South China Sea has significance for the UK’s economy. Historically the UK has had a strong link with Asia, possessing many colonies in both South and Southeast Asia. This connection continues today even after it abandoned Singapore and withdrew from its commitments “East of Suez” in the 1970s. The British Armed Forces have a regional defense staff and a naval logistics facility in Singapore, while the British Army’s jungle warfare training installation, complete with a battalion of Gurkhas, is located in Brunei. Singapore and Brunei are both littoral countries of the South China Sea. Just beyond the South China Sea, the UK has military facilities in Nepal and on the British Indian Ocean Territory of Diego Garcia. All these military facilities combine to form the UK’s “strategic array” of military facilities linking back to the British home islands. Furthermore, the Five Power Defense Arrangement (FPDA) involves the UK, Australia, New Zealand, Malaysia and Singapore. It was established in 1971 with the primary purpose of reinforcing British military commitments with Singapore and Malaysia and keeping strong defense ties with Australia and New Zealand. Although the FPDA does not have a mutual defense clause, it does require consultation between the five participants. The UK have participated in FPDA drills and exercises–“Bersama shield” and “Suman Warrior”–every five years to demonstrate its interest in the wider Southeast Asian region and to ensure that the Five Powers’ armed forces remain interoperable. Its military presence in various forms demonstrates the strategic importance of the South China Sea to the UK. The sea lanes there connect to Britain’s strategic hubs in Asia. With China’s growth in economic and military power, British worries have grown over the possible threat of China’s activities in the South China Sea. A Chinese study of the UK’s official documents from 1955 to 1957 illustrates that in the early Cold War period the UK did not consider the South China Sea area as of any major strategic importance — to a certain extent, Britain tolerated or acquiesced to China’s sovereign claim over Nansha Qundao (Spratly Islands). However, with tensions relating to the South China Sea controversy increasing in the 21st century, gradually the UK came to pay more attention to such maritime disputes. As early as January 2014, the UK’s then Foreign Secretary William Hague expressed Britain’s concern by stating that “[o)ur engagement in Asia is as much about security as it is about as trade and prosperity, since these are all inextricably linked…we will always encourage not just here but all over the world…a rules-based rather than a power-based solution to disputes.” This concern was later reflected formally in the UK National Strategy for Maritime Security, issued in May 2014. Within its Number 1 objective — “To promote a secure international maritime domain and uphold international maritime norms” — it is stated that “[t]he UK Government is concerned by the tensions in the South and East China Seas. The UK has significant political and economic interests in the Asia Pacific region….It is important that all nations in the region resolve any maritime disputes peacefully and within the rule of law, while protecting and promoting freedom of navigation and trade”. In both its National Security Strategy and Strategic Defense and Security Review 2015 and National Security Capability Review (March 2018), Britain’s concern over the escalation of the South China Sea disputes is raised and the importance of open and free sea lanes is emphasized. British Foreign and Defense Secretaries have repeatedly stressed the importance of freedom of navigation and a rules-based system in the South China Sea. Recently, in February 2019, the UK Defense Secretary Gavin Williamson indicated in a speech that the UK “may have to intervene” in the future to confront China as it “flout[s] international law” and is “resurgent” in rebuilding its armed forces. 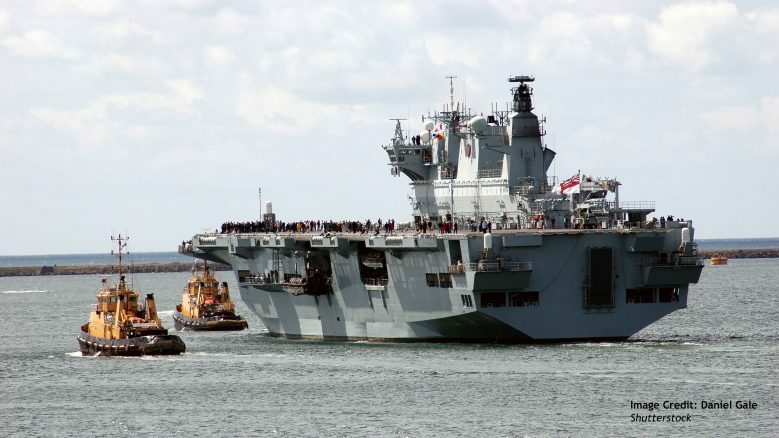 He also said that the first operational mission of the HMS Queen Elizabeth would include the Pacific region. The UK’s worry has gradually become clearer. According to some of its top politicians’ perceptions, China’s activities in the South China Sea are not “rules-based” — and having built up its military capability, China is posing a threat to freedom of navigation. Since there is no interruption of navigation for commercial vessels, the British (as well as American) concern is that China poses a threat to the free movement of Anglo-American military vessels. From the Chinese perspective, the activities of the UK’s military vessels are inconsistent with the law of the sea, and constitute a threat to its national security. For example, in September 2018 a Royal Navy vessel entered the sea area within 12 nautical miles of the Xisha Islands, i.e. the Parecels. As one of the five standing members of the UN Security Council, the world’s sixth-largest economy and a global trading nation, the UK has established its global reach long before the appearance of Brexit. However, Brexit offers an opportunity for Britain to reengage with the world. The concept of “Global Britain” was first raised by Prime Minister Theresa May in a formal capacity in October 2016. She used it to describe the UK, post Brexit, as an open, inclusive, and outward facing free-trading global power, which will play a leading role on the world stage. To achieve such a goal, “Global Britain” requires reinvestment in UK’s relationships around the world by “championing free trade and the international rules-based system” and by using its soft power to project its values and advance UK interests. “special relationship” has been given priority as Britain’s most important international partnership. Therefore, US policies relating to the South China Sea influence to a certain extent the UK’s engagement with the region, including its relations with China. The US has openly called on its allies to join the US Freedom of Navigation (FON) program in the South China Sea. At the Shangri-la Security Dialogue in June 2018, Gavin Williamson, UK Secretary of State for Defence, together with his French counterpart announced joint patrols in the South China Sea without specifying to which disputed South China Sea territory their warships would go. No doubt the UK’s increased activities are welcomed by the US, whose Indo-Pacific Commander Phil Davidson expressed that other nations are now following America’s lead and performing their own FON exercises. On 12 February 2019, Davidson stated to the US Senate that “Beijing is working to expand its form of ideology in order to bend, break and replace the existing rules-based international order…[the US) will include allies and partners in future missions”. It is possible that involvement in South China Sea issues can contribute to an increase in British influence in global affairs. However, doing so by expanding military activities may not be conducive to its vision of Global Britain—rather, negative repercussions might result. Domestically the UK is struggling to deal with the Brexit issue. No matter what road the UK takes towards its relations with the EU, its future policy options relating to the South China Sea will depend on the overall assessment of its own interests: economics, security, and geopolitics. Military activities in the South China Sea are sensitive issues to the region. Beijing may perceive these gestures as a response to America’s call to contain China. ASEAN countries are getting more concerned with the prospects of increasing China-US competition in the region. The perception of the UK’s enhanced military presence will undoubtedly cause concerns about increased external militarization in the region, which will not be welcomed by ASEAN. Such perceptions will have serious repercussions for the UK itself, and negatively affect its promotion of Global Britain in a broader sense.